The Asian Poker Tour (APT), founded by Capital Events Pte Ltd, held its first tournament in November 2006 in Meritus Mandarin Singapore with the sponsorship of Betfair, an online platform that primarily offers sports betting but also offer Poker, casino games and Bingo. The very first tournament had a buy-in of $150 and saw a participation of 270 players. The event champion was no other than Pokernews owner Tony G.
In 2008, the brand was acquired by AsianLogic, an Asia-Pacific online and land-based gaming company listed in the London Stock exchange. 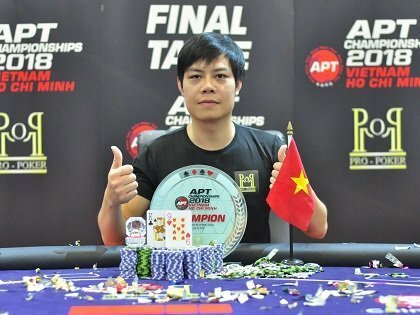 In the same year, APT held 2 tournaments, first in the Philippines and the other in Macau. The APT Philippines 2008 was held in the luxurious Dusit Thani Hotel in the Business District of Makati and had a buy-in of $2,700, an amount far larger than the first tournament. It was directed by renowned Matt Savage and saw a field 316 players coming from all over the world. Poker celebrities that attended the event included Huck Seed, Quinn Do, Evelyn Ng, Nam Le among others. The 2nd offering which was held in Starworld Hotel & Casino in Macau had a abuy-in of $53,00 and a guaranteed prize pool of $1,500,000. The APT 2008 Macau had a participation of 257 entries and was won by Yevgeniy Timoshenko. The success of this first year, under the ownership of AsianLogic, marked the APT as a viable poker circuit and these initial offerings set a precedent for future APT tournaments. Under the leadership of APT CEO Jeff Mann, who took over the helm from Chris Parker in 2010, the APT has gone beyond the borders of the Asian region and has ventured into Europe as well. The APT has held tournaments in the Philippines, Macau, India, London, China, Mauritius, Cambodia, Korea, Australia, Czech Republic, Vietnam, New Caledonia and Japan. Currently, the circuit is moving around the Philippines in 2 cities –Manila & Cebu, New Caledonia, Macau & will hold a tournament for the first time on a Casino Cruise – Rex Fortune Cruise, Hong Kong.